I have been an early childhood educator for over 10 years. I studied early childhood development before I had kids, so I already knew the importance of kids engaging in creative play. Since having children, I have had the opportunity to observe my kids development on an entirely new level and creative play became much more critical to me. Merriam-Webster defines creative play as “children’s play (as modeling or painting) that tends to satisfy the need for self-expression as well as to develop manual skills.” Creative play is when kids have the ability to express oneself through playing. Often it is when children use their imaginations to role play using familiar objects such as toys. There are several reasons why creative play is so important for young children besides the fact that most children absolutely love it! When kids are engaging with creative play they are developing important problem-solving skills and critical thinking. Creative play also fosters a good imagination. These skills are vital as children grow throughout their adolescence and adulthood. When kids are role-playing and creating art, they are not only having fun they are developing basic science skills and math skills that can help them as they enter school. Creative play encourages kids to problem solve and helps improve their concentration. When my son was having issues concentrating we gave him a Lego brick building set and he was able to start to sit down for an hour at a time to finish a task. It has helped him concentrate at school. I love watching my daughter play with her dolls. She creates different scenarios where her dolls have to talk about their feelings. Creative play helps young children deal with their feelings and learn how to express their emotions. When engaging in role-playing with other children, kids are learning how to make friends and how to interact with their peers. A huge part of teaching kindergarten used to be developing hand-eye coordination and kids’ physical development, it has changed over the years and is currently more focused on academics. 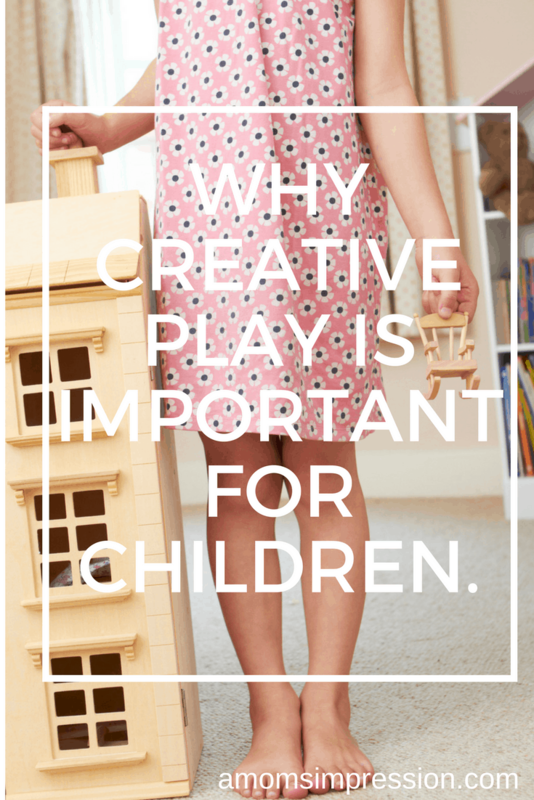 Creative play is a great way for your kids to develop these skills. Cutting paper, manipulating toys, tugging on ropes, all of these can help later in life as kids start playing sports or learning how to play a musical instrument. How Can I Encourage Creative Play? While there is a place for electronics with kids, encouraging your kids to play with their toys is a great way to encourage creative play. We limit our kids to an hour of screen time a day so that forces them to play with the numerous amount of toys they currently have in their playroom. One of the best ways we encourage creative play is to provide role-playing toys for our kids like racecars, dolls, and figurines so that they can be creative when they play. 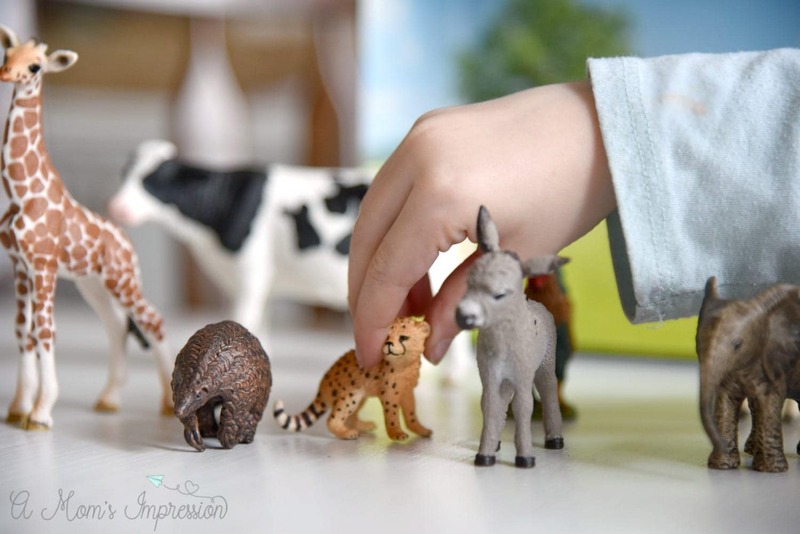 Some of our favorites are these farm and safari animals from Schleich. 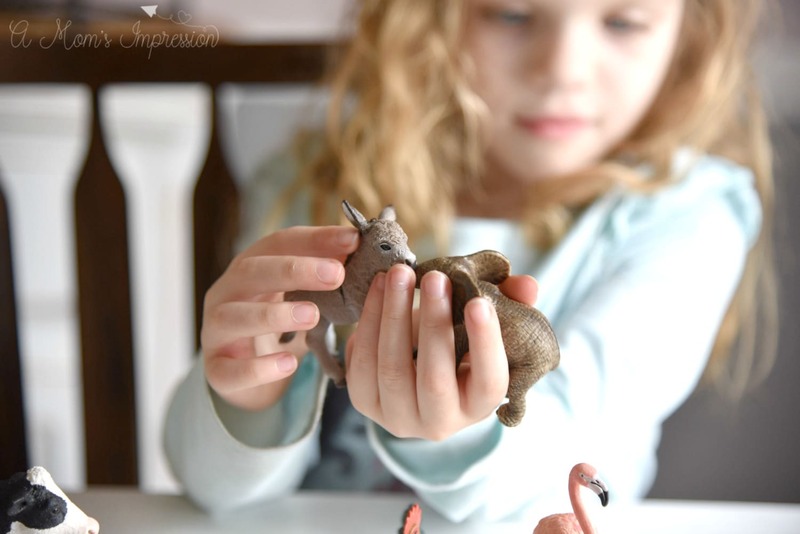 Founded over 80 years ago, Schleich is one of Germany’s largest toy manufacturers and a leading international provider of realistic and hand-painted playsets and toy figurines. Both my son (age 8) and daughter (age 5) love playing with these animals. Going to the zoo and the farm is something that we do as a family a few times a year. The last time we went we were able to see a baby calf being born. Ever since then my daughter has loved cows and pigs and wants them as pets. While we can’t have them as pets, her dolls can! This is a great example of how kids can use their imaginations to play with their toys. 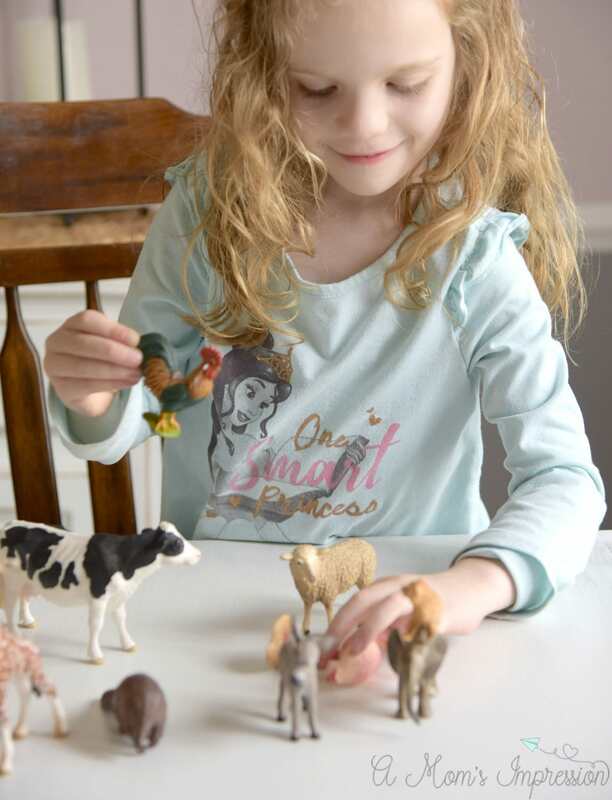 With Easter coming up, these adorable figurines are the perfect surprise addition to a spring Easter basket providing an alternative to filling the basket with sweets. We love filling eggs with Schleich miniature animals on our egg hunt. My daughter loves finding the animal-filled eggs and thinks she wins if she finds one. 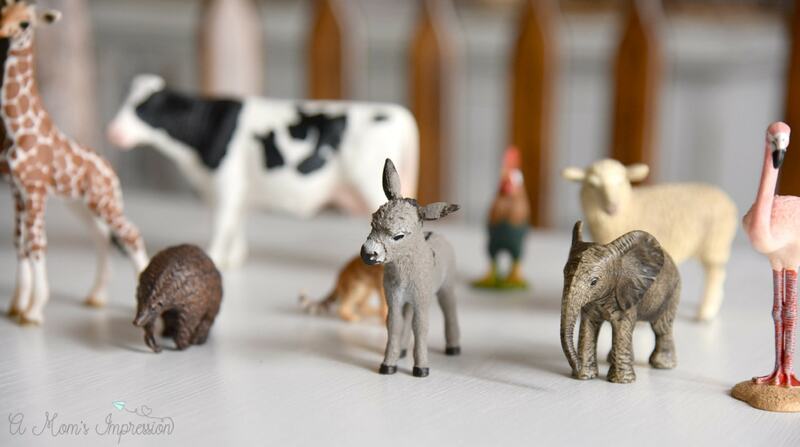 The famous Schleich figurines are sold in more than 50 countries and are loved by children around the world. 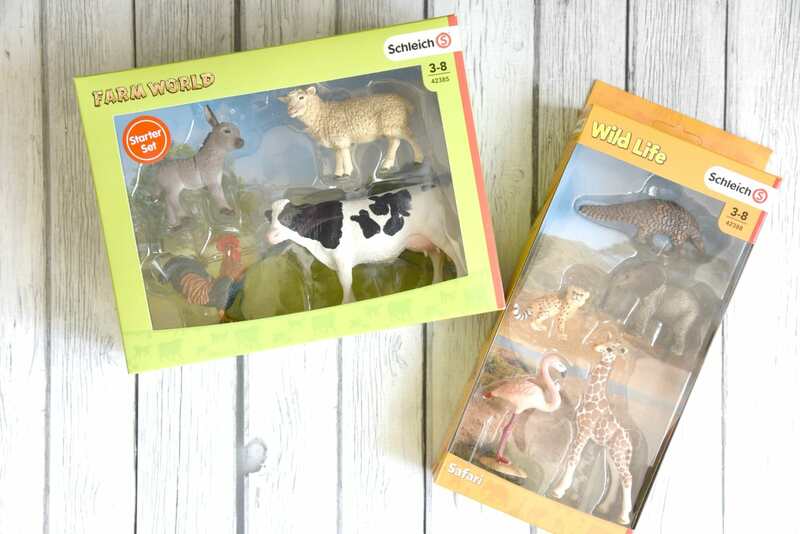 You can find Schleich Farm world and Wild Life Starter Sets on Schleich’s website. They are $19.99 each and contain 4-5 different animals for your kids (ages 3 and up) to enjoy.